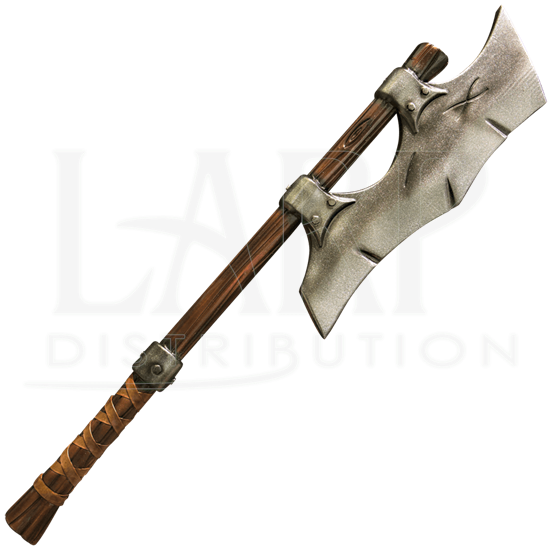 Destroy any human in your path when you fight with the Orc LARP War Axe! This brutal looking war axe will help you defeat your enemies and amass power as you prove yourself to be the strongest and deadliest orc on the battlefield! The blade of this wicked looking weapon is made from a closed cell foam with a fiberglass core that has been covered in a strong latex coating and has the appearance of forged and sharpened iron that has an almost serpentine wave to it. Several deep cuts can be seen on the edge and body of the axe blade. The blade of the axe appears to be riveted to two metallic rings that hold it on the haft of the axe, which is made of the same materials as the blade and features highly detailed wood grain patterns, making it seem as though it were actual wood. A studded metallic band marks the beginning of the axes handle, which bears a leather-wrapped appearance. The safe and durable design makes this orcish ace the perfect LARP weapon for your battle kit! 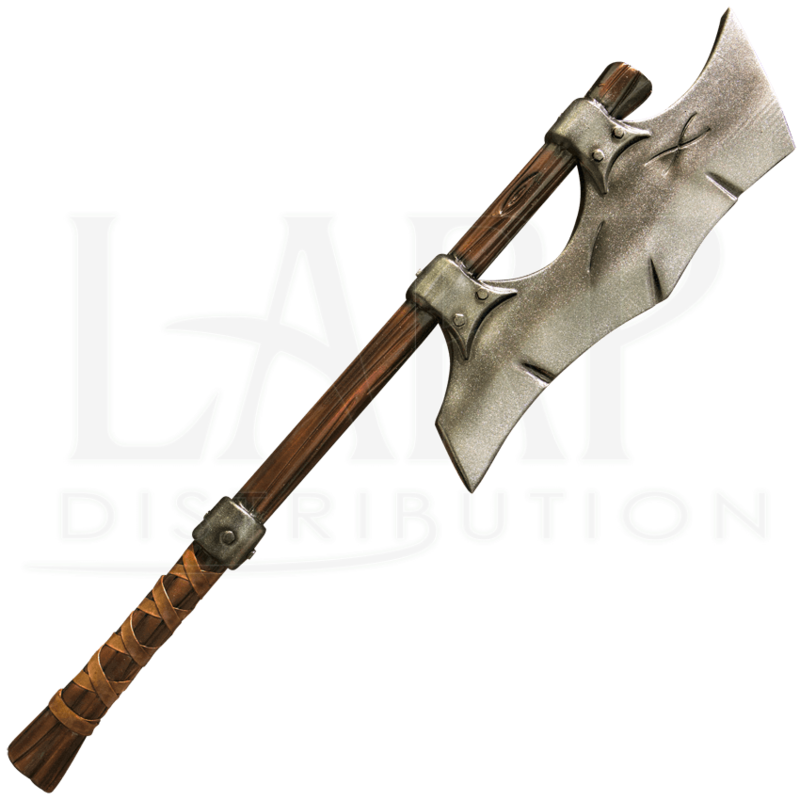 The Orc LARP War Axe has an overall length of approximately 41 inches. Please be aware that measurements may vary slightly, as it is a handmade item.